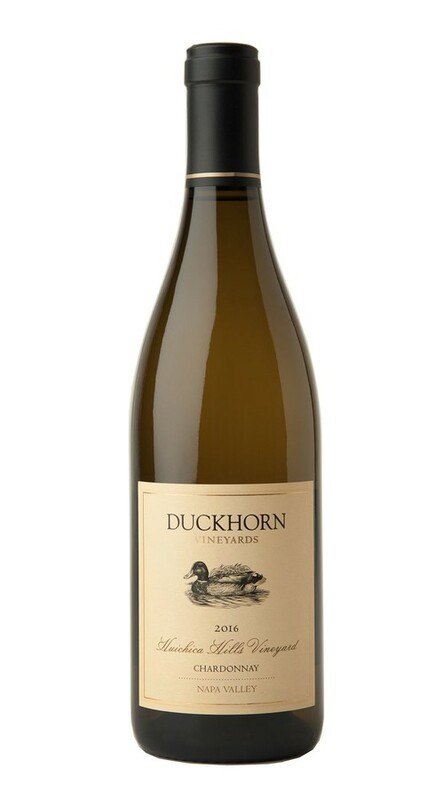 This Chardonnay comes from the historic Huichica Hills Vineyard in the cool heart of Carneros. Grown in clay loam soils with ideal east-west row orientations, Huichica Hills’ developed Chardonnay vines produce small clusters and berries, resulting in beautiful concentration and complexity. Fermented on the lees in the finest French oak, the result is a crisp, mineral-driven wine, alluring layers of Anjou pear, white nectarine and citrus blossom. Pure and poised, this captivating cool-climate Chardonnay displays aromas of white peach, nectarine and lime zest, as well as hints of clove and vanilla from aging in French oak barrels. On the palate, beautifully focused minerality creates texture and definition, while a vibrant mid-palate carries the citrus and stone fruit flavors to a long, graceful finish. 2016 offered another near-perfect vintage in Napa Valley! While much-needed rain during the winter months helped to replenish our reservoirs, a dry spring and summer, with moderate temperatures and plenty of sunshine, led to another early harvest. Our first white grapes came into the winery on August 3rd, with the remainder of our whites following at an even, steady pace. A few weeks of ideally timed cool weather in early September provided additional hangtime, yielding bright acids and beautifully articulated flavors in our early ripening reds. Warm, dry weather for the remainder of the season allowed the rest of our grapes to develop rich, concentrated flavors, with polished tannins and wonderful complexity.